What Goes into Your Glass of Wine? The phrase “a thing of beauty is a joy forever” was most certainly meant for a glass of wine. Wine is one of the most beautiful concoctions of natural and chemical ingredients in the world and is one which can transport a drinker through worlds of flavor with just one sip of their favorite Chianti wine. 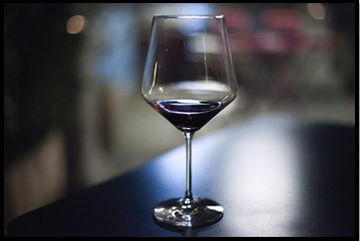 Made from the chemical compounds that give wine a unique taste, the taste can also be very addicting and flavorsome. However, for those who dedicate their life to loving it, wine presents much more than just a complex flavor; it presents a science of taste. When looking into the ingredient list of wines, it can be very easy to point out the obvious. Wine content consists mostly of water, but what makes you feel a little loose and happy after the first glass is ethanol alcohol. And that’s not all. There is a long list of ingredients that make up your seemingly simple glass of wine, some of which are listed below. Wine grapes contain acid which is obviously transferred into the wine during the winemaking process. The acidity in wine determines the sourness of the taste and can go from 2.5pH to 4.5pH, with 2.5 being high on the acidity scale. A simple example of this is white wine, which is sourer than red Italian wine, which means that it is high in acidity as well. Esters are the aromas that are included in wine. These aromas are created when certain acids react with the alcohols and change as the wine eventually evolves. Esters mostly add a flower-like flavor to white wines and a fruitier flavor to red wines. Esters usually depend on the yeast that is used to ferment the wine as well as the temperature of the process to form the different aromas. Wines contain several minerals such as iron, magnesium, potassium, calcium, zinc, manganese and phosphorus as well. However, these minerals do not contribute to the flavor of the wine. Yes, wine does contain sugar, but not the type you get from your local market. The sugar in the wine is obtained from the residual sugar that doesn’t get fermented into alcohol. It is this sweetness in the wine that adds calories to your regular glass. Glycerol is a sugar alcohol that is found in dry wines in small amounts. However, glycerol is also found in several sweet wines that are made with noble rot. And although glycerol isn’t sugary, it does contribute its flavor to the sweetness of fruity wines. Sulfites are preservatives that are added to keep the wine fresh. However, sulfites are not added to organic wines, so you can consume it without worrying.